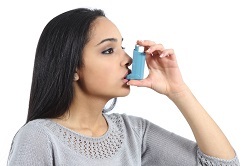 The drug Aerivio Spiromax (fluticasone/salmeterol 500/50) has received EU marketing authorisation as a maintenance bronchodilator treatment for adult patients with severe asthma and chronic obstructive pulmonary disease (COPD), Teva Pharmaceutical Industries Ltd has announced. Aerivio Spiromax contains a fixed dose combination of fluticasone propionate, an inhaled corticosteroid to treat the underlying inflammation in asthma and COPD, and salmeterol xinafoate, a long-acting beta-agonist, delivered via the Spiromax inhaler. The Spiromax inhaler has previously received a Medical Design Excellence Award that recognizes significant advances in medical product design. The inhaler is primed by opening the cover and a click confirms it is ready for use. It provides dosing confirmation for patients through a subtle taste and precise dose indicator. Luca Frangoni, VP Head of Respiratory Europe, said: “We are excited about the European approval of Aerivio Spiromax that can give patients with severe asthma and COPD the possibility to benefit from this widely used fixed dose combination in the award-winning Spiromax inhaler. The approval follows the marketing authorisation approval in May 2014 of DuoResp Spiromax, the combination of budesonide and formoterol fumarate dihydrate for the treatment of asthma and COPD.